Heli skiing is one of the most exhilarating extreme sports in existence today. Only the bravest and boldest adventurers take to the skies to reach skiing destinations that are not available to those who stay on the ground. If you are one of the many thrill seekers who lives and breathes this sport, you are going to want to check out the heliskiing capital of the world, otherwise known as Revelstoke. Revelstoke is located in the beautiful, pristine mountains of British Columbia, Canada. BC is the home of heliskiing, as it was over 40 years ago when ski-legend Warren Miller introduced the sport to the world through a series of videos. Ever since then, thrill seekers have been flocking to BC like pilgrims to the Promised Land. There are a variety of BC heliskiing companies that can take you up into the mountains and drop you off for the most exciting skiing experiences of your life. Warren Miller chose the area to film his 1969 heliskiing videos for one main reason- the upper reaches of the BC mountains feature some of the best skiing conditions in the entire world. The reason is the unique location of BC, which is hit by both humid air from the Pacific and dry, cold air from the Arctic. The result is absolutely gorgeous powder that is just begging to be carved through and sailed across. At the time, Miller was one of the few people with the ability to ski these regions, as securing land for skiing purposes was an incredibly lengthy process that could take as long as ten years. But as the years passed, the Canadian government eventually mandated that the process be completed within 140 days. Now, there is plenty of fresh powder that is just waiting for you to drop out of that helicopter and ride on it. 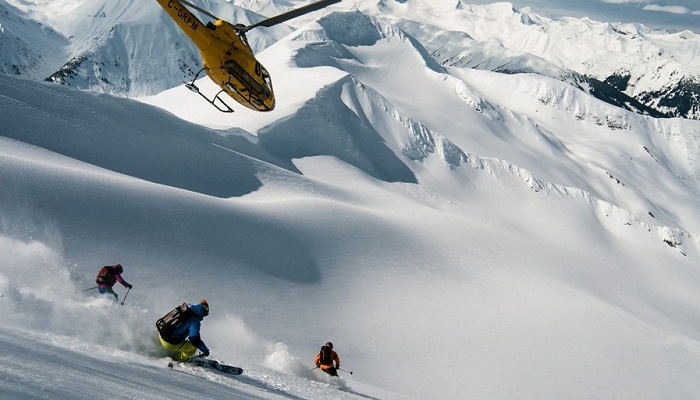 Heliskiing companies love BC almost as much as the skiers themselves do. There is plenty of business to go around, and some companies have risen up the ranks to be known as the prominent authorities on heliskiing. These ski tours will take you to the most pristine regions of BC and drop you off for a valuable experience that is well worth the price. Anyone who is remotely serious about heliskiing will take advantage of these tours and head to the area at least once to experience the unbeatable conditions. If you are interested in heliskiing and want to learn more about how you can start down the path toward heliskiing in British Columbia, start researching the various companies that provide flexible heli skiing packages in the most beautiful regions of the area. As Warren Miller proved so long ago, there is nothing better than a helicopter ride up into these breathtaking mountains promptly followed by a heart-pounding ride through the untouched powder. In this environment, there is just you, the snow, and the sound of helicopter blades pounding into the distance as you are left alone with the elements and your trusty skis.